is a movie star that people just love to destroy..
Three years after completing the transcontinental railroad, Charles Crocker, a railroad executive, made a presentation to the Marin County Board of Supervisors in which he laid out plans for a bridge that would span the Golden Gate Strait, the entrance to the ocean from San Francisco Bay. 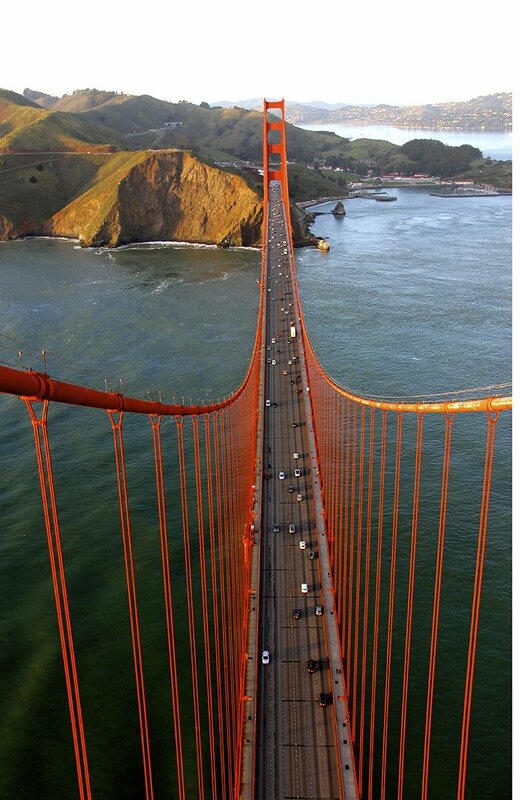 (The strait was named Chrysopylae, Greek for “golden gate,” by U.S. Army Captain John Fremont in 1846.) Many didn’t believe it could be done: At its narrowest point, the strait was still more than a mile wide, with turbulent currents ranging from 4.5 to 7.5 knots. 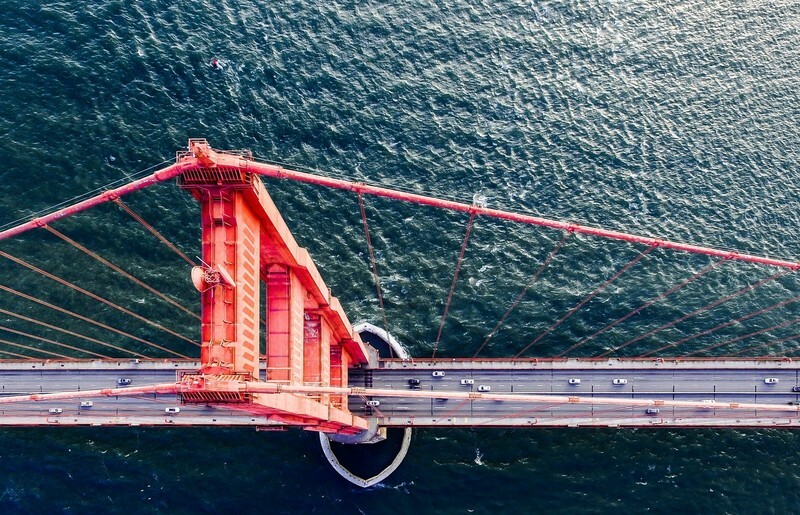 The project wouldn’t be seriously considered until 1919, when the San Francisco Board of Supervisors had the city's engineer, Michael O’Shaughnessy, do a study to determine the feasibility of a bridge. The initial results estimated that constructing a bridge would cost $100 million. In 1920, O’Shaughnessy sent letters to three prominent engineers inquiring about building a bridge over the strait: Joseph B. Strauss, Francis C. McMath, and Gustav Lindenthal. Strauss submitted plans for a symmetrical cantilever-suspension hybrid span, which he had developed and later patented. Reports vary, but Strauss thought he could build the bridge for $17 million or $27 million. The bridge commission hid the design from the public for a year (though Strauss was drumming up support for the bridge using his design during that time). 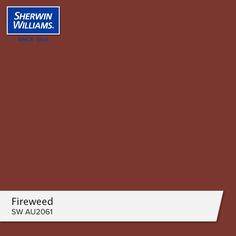 When they did reveal it, the public wasn’t pleased. 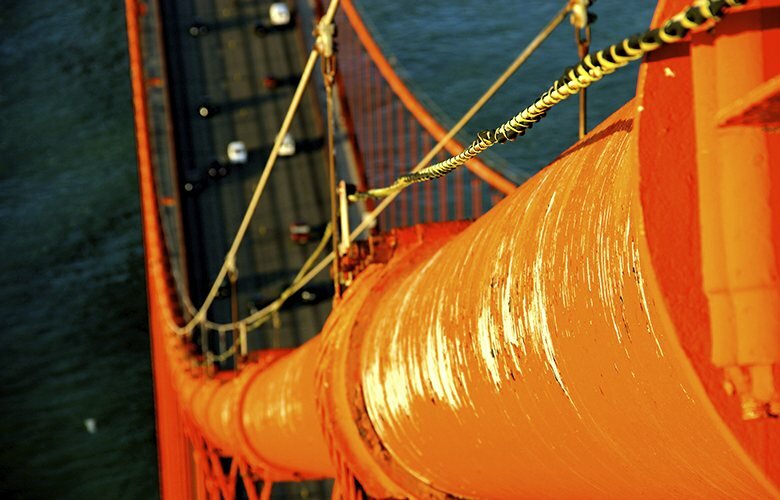 The local press called the design ugly, and one writer described it as “a ponderous, blunt bridge that combined a heavy tinker toy frame at each end with a short suspension span. 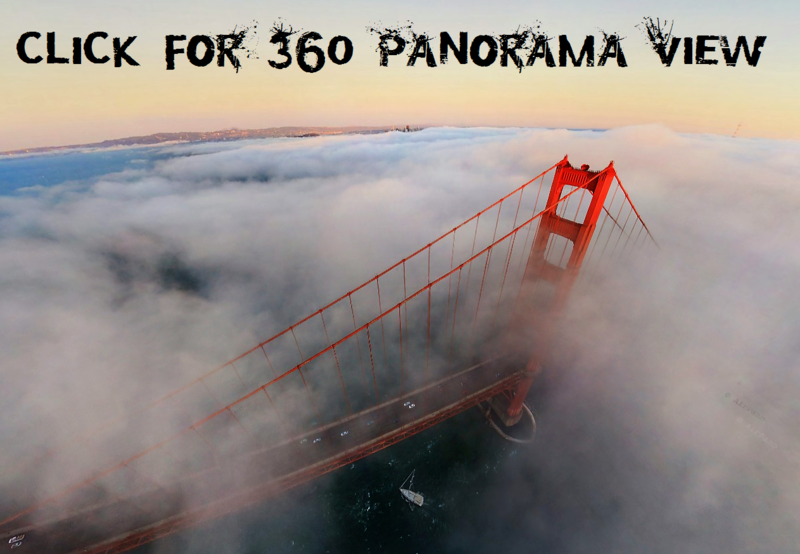 It seemed to strain its way across the Golden Gate”. 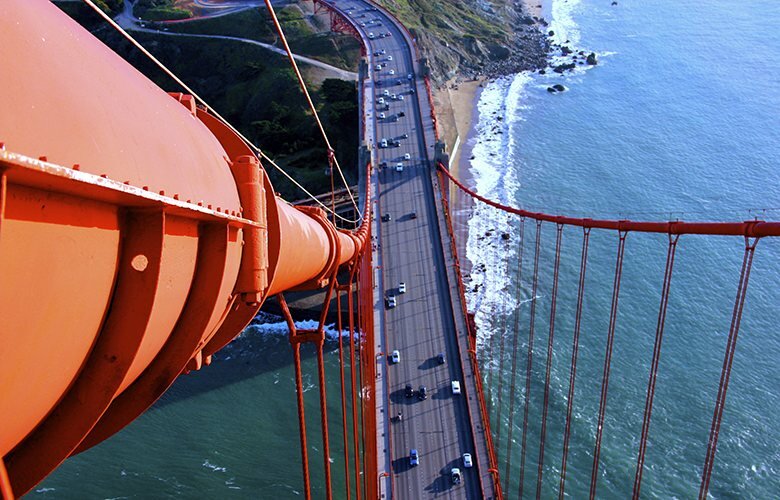 Eventually, Strauss would abandon his design in favor of a more conventional suspension bridge. 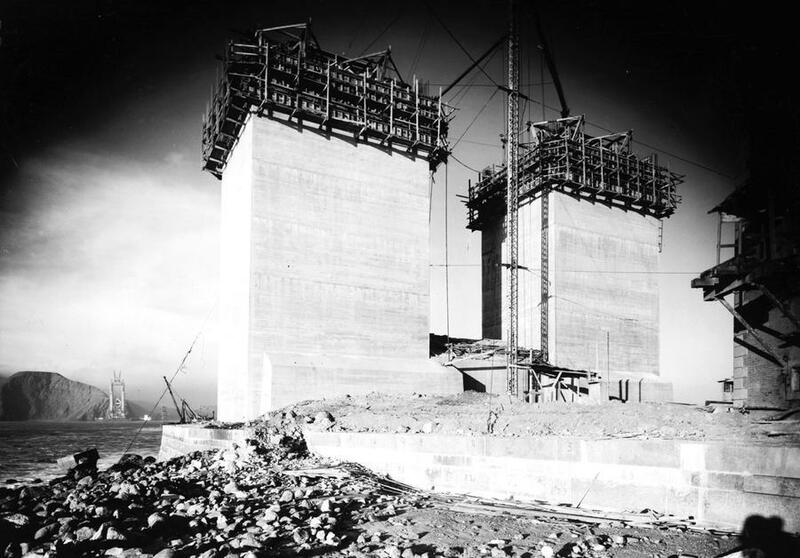 Because the War Department owned the land on both sides of the strait, it had to authorize the construction of the bridge. A temporary construction permit was granted on December 24, 1924, and a final permit was issued on August 11, 1930. 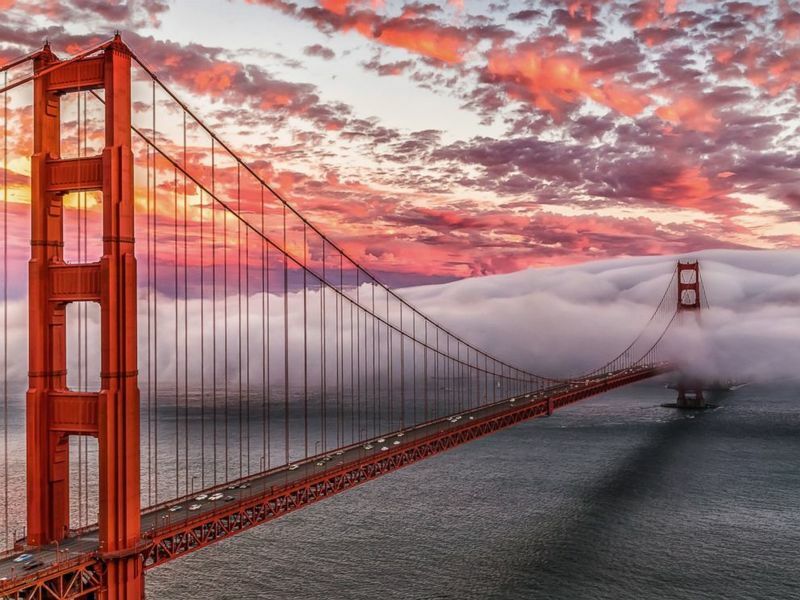 "The Golden Gate Bridge in 1930 had 2300 lawsuits against it,” transit expert Rod Diridon told NBC Bay Area. 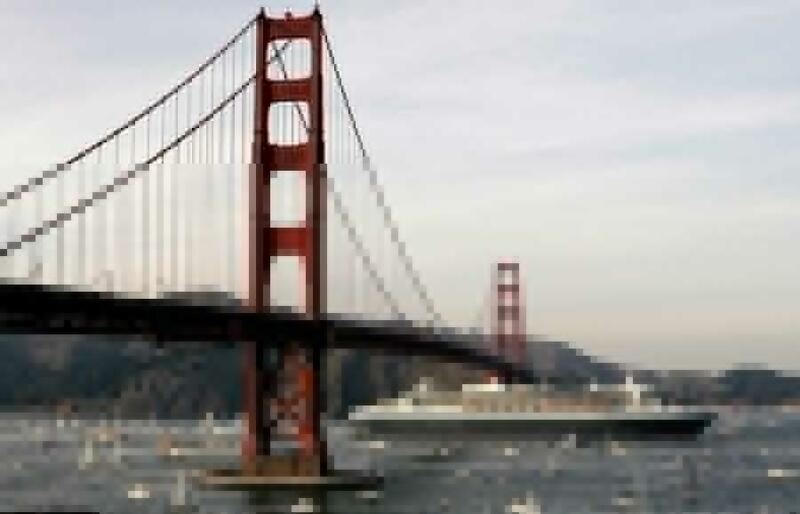 One of those lawsuits was brought by the Southern Pacific Railroad, which owned 51 percent of the ferry company that took commuters and cars between San Francisco and Marin County. Ansel Adams and the Sierra Club were also opposed to the bridge, which they felt would mar the natural beauty of the strait. The engineer hired Charles A. Ellis, author of Essentials in the Theory of Framed Structures, in 1922. Ellis’s job would be to oversee bridge design and supervise construction. In 1925, he and Strauss brought Harvard University’s George F. Swain and Leon S. Moisseff, designer of New York City’s Manhattan Bridge, on as consultants. By the end of 1929, the team had switched from Strauss’s initial design to a suspension bridge designed by Moisseff. 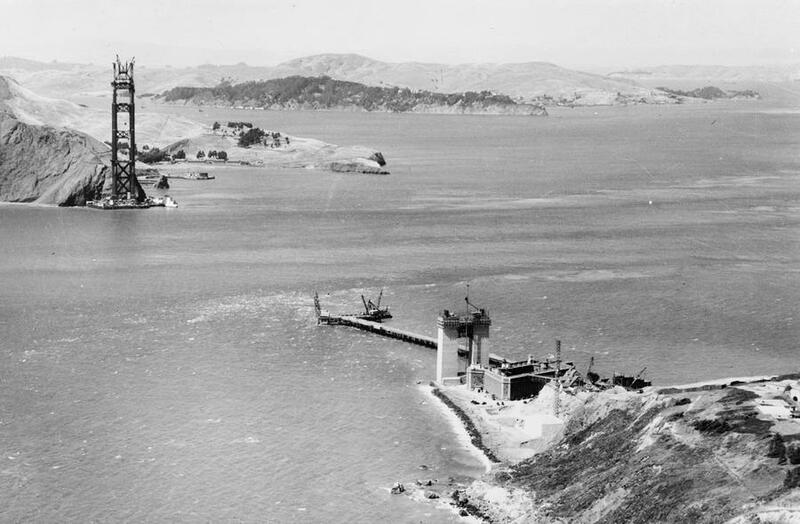 According to Purdue University, Ellis’s work “included performing thousands of calculations for the bridge, writing specifications for ten bridge construction contracts, and supervising the test boring and siting, which involved the complicated process of locating firm footing on the Marin shore.” He did his job tirelessly for three years, including spending several months figuring out the complex calculations with Moisseff. By November 1931, Strauss—who, according to PBS, “did not understand the complexity of the engineering work” and couldn’t understand why it was taking so long—ordered Ellis to take a vacation. Just three days before he was slated to return, Strauss sent a letter informing Ellis that he was to take an indefinite (and unpaid) vacation and turn all of his work over to his assistant. 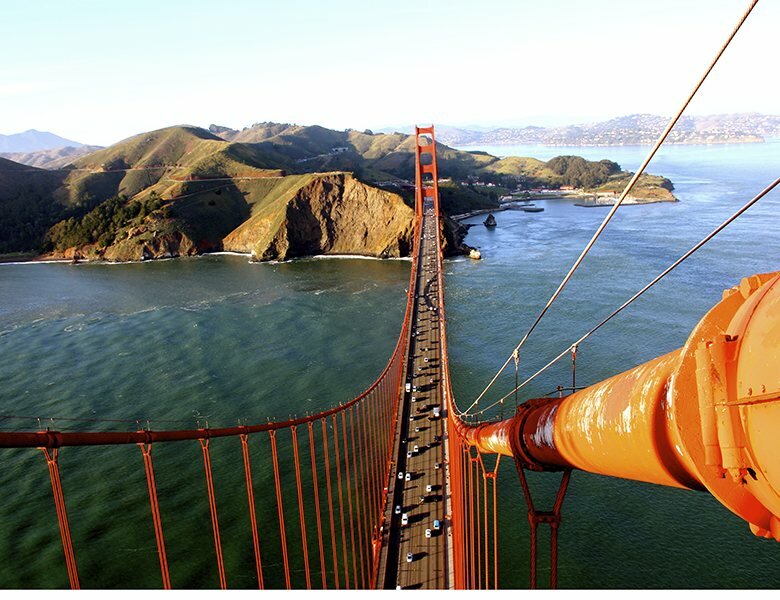 Unable to find other work, Ellis continued to crunch the numbers on the Golden Gate Bridge, unpaid, for up to 70 hours a week. (He submitted his report in 1934; Strass and Moisseff ignored it.) He eventually took a job as a professor at Purdue, and when the bridge opened in 1937, Ellis received no credit for his work, despite the fact that he had, in his own words, designed “every nut and bolt on the darn thing.” His role in the bridge project wouldn’t be revealed until his passing in 1949. 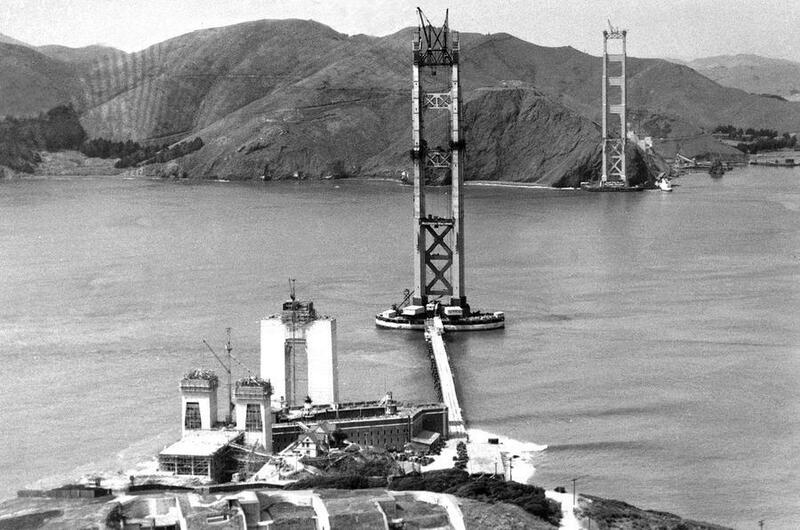 After years of setbacks and fundraising, Strauss and his team finally broke ground on the bridge on January 5, 1933. 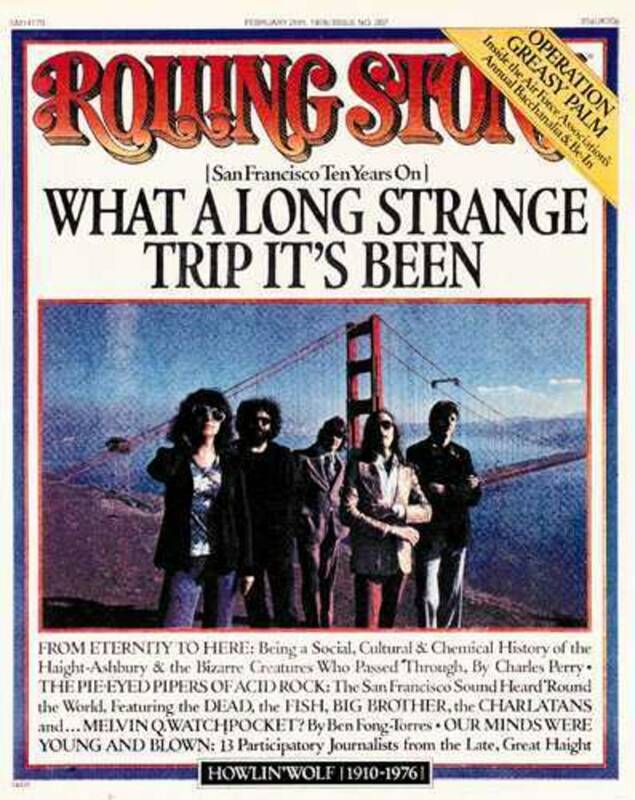 It was, apparently, a big event: According to the official program, there was a parade to Crissy Field, where, after opening remarks were given and a message from President Herbert Hoover was read, there was a 21-gun salute and a bridge was painted in the sky. Next there was a pageant where engineering students showed off an 80-foot-long model of the bridge containing carrier pigeons that were to take news of the groundbreaking all over California. Finally, San Francisco Mayor Angelo Rossi and bridge Board President William P. Filmer broke ground using a golden spade and a closing prayer was read. 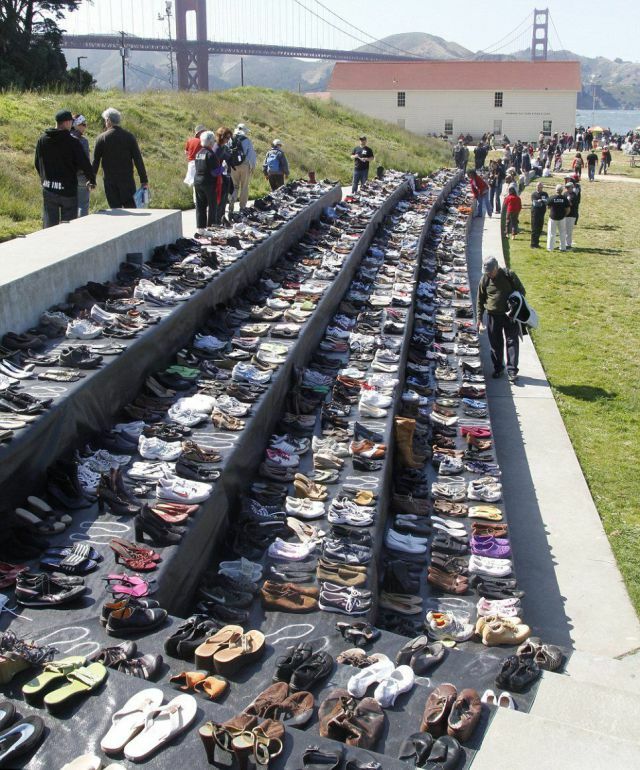 At least 100,000 people attended the celebration. Take out any element of a suspension bridge, and the structure won’t stay standing for long—but the cables are particularly important: They're strung horizontally between two massive concrete blocks called anchorages on each side of the bridge, with additional vertical cables called suspender ropes attaching the main cable to the bridge’s deck (or roadway). Vehicles push down on the roadway, but the suspender ropes transfer that load to the main cables, which transfer it to the towers, which support most of the weight. 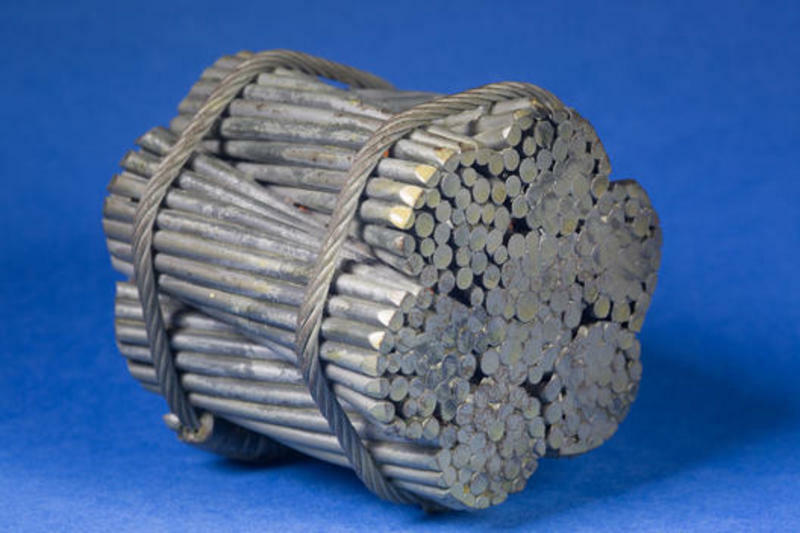 To spin the cables, 80,000 miles of steel wire less than 0.196 inch in diameter were bound in 1,600-pound spools and attached to the bridge's anchorages. A fixture within the anchorages called a strand shoe was used to secure the "dead wire" while a spinning wheel, or sheave, pulled a "live wire" across the bridge. Once it reached the opposite shore of the Gate, the live wire was secured onto the strand shoe, and the wheel returned with another loop of wire to begin the process again. 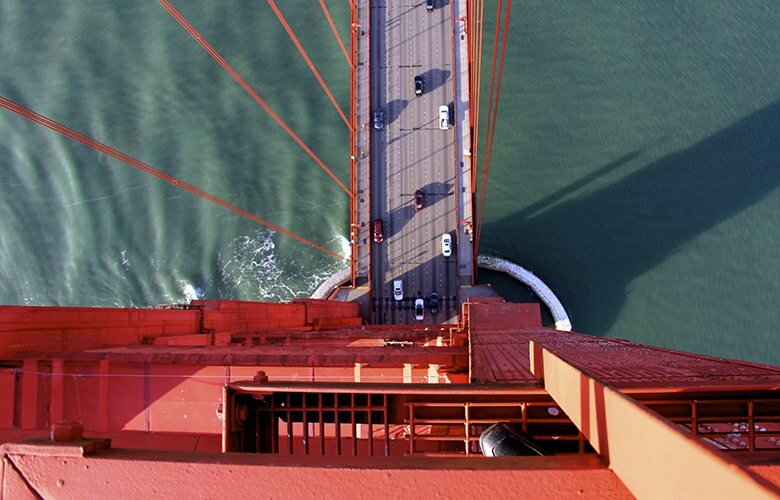 … One wire at a time, the cables for the Golden Gate bridge were spun from tower to tower, anchorage to anchorage. The spinning was tedious; not only did it take time for the spinning wheel to travel the mile between the two shores, but the work had to be performed in a precise sequence, in order to create the balance needed for the cables to absorb the proper amount of wind pressure. To get the spinning done within the time frame—14 months—and on-budget, the company created a split-tram system that would eventually be capable of spinning six wires at once, which allowed them to spin 1000 miles of wire in a single eight-hour shift. Thanks to Roebling's methods, the cables were finished eight months ahead of schedule. 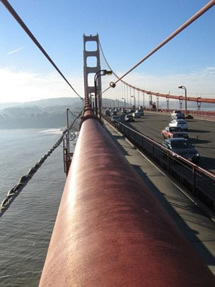 The bridge’s two main cables are each 7659 feet long, over three feet in diameter, and contain 27,572 parallel wires. 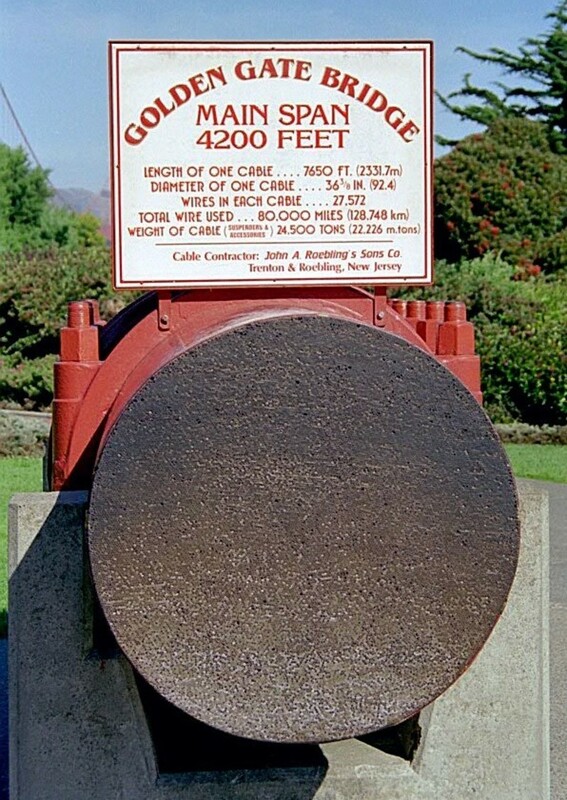 The largest cables ever spun, they’re long enough to circle the world at the equator more than three times. The first step in the main cable construction was the erection of a “footwalk” which was suspended directly under where the main cables would then be spun. In the 1930s, the odds were not in a worker’s favor: On average, one man was killed per million dollars spent on a big project. Strauss wanted to beat those odds, and spent a ton of money on safety. 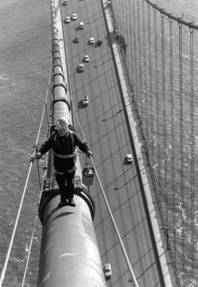 Goofing off was forbidden: “Old Strauss enforced the rules,” Pete Williamson, one of the workers on the bridge, said. “All a guy had to do was to stand out there on one foot, and he was fired.” Workers had to wear glare-free goggles, use hand and face cream to protect their skin from the high winds, and go on special diets that Strauss believed would fend off dizziness. The engineer had the E.D. 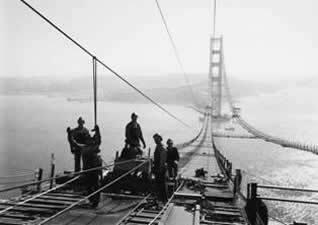 Bullard Company create special hard hats for the bridge workers, which they were required to wear at all times, and in 1936, Strauss installed a net under the bridge that cost $130,000. The device, similar to what’s strung below the circus trapeze, was manufactured by the J.L. Stuart Company and extended 10 feet wider than the bridge’s width and 15 feet longer than its length; it helped to speed construction while also giving workers a sense of security. It saved 19 men who otherwise would have plummeted into the water below; they were said to belong to the Halfway to Hell Club. For most of the construction, Strauss’s site was fatality-free. Then, just a few months before the bridge opened, one worker was killed by a falling derrick. A few weeks after that, scaffolding collapsed, falling into the net with 12 workers holding on. The net tore and the scaffolding plunged into the water 220 feet below, killing 10. One survivor, 26-year-old Slim Lambert, recalled, "As I was falling, a piece of lumber fell on my head. I was almost unconscious. Then the icy water of the channel brought me to." He had broken his shoulder, some ribs, and a few neck vertebrae, but managed to swim to shore. 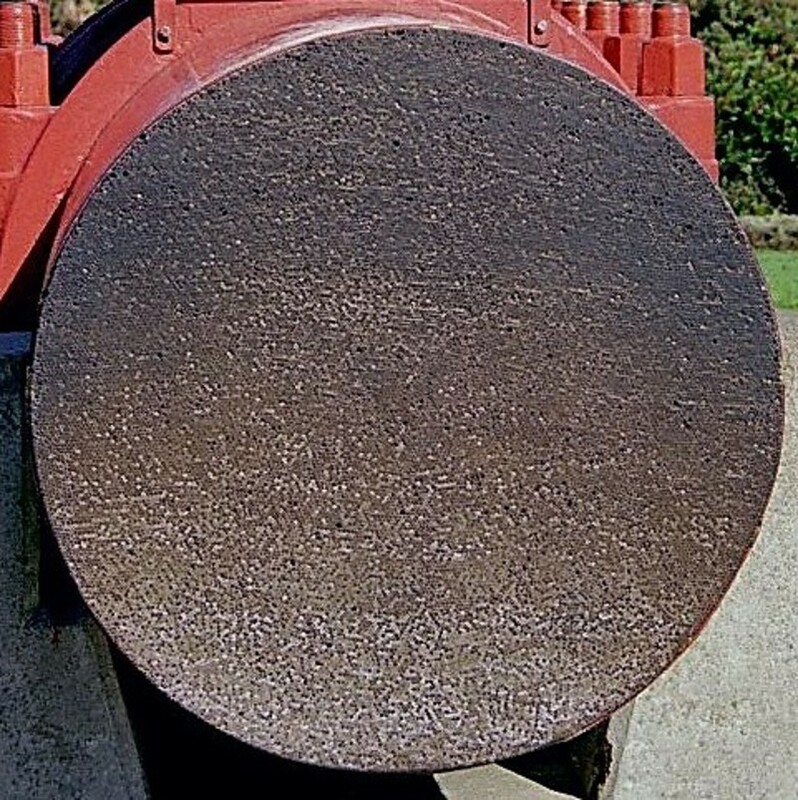 When the original rivets become corroded, they’re replaced with galvanized high-strength bolts. 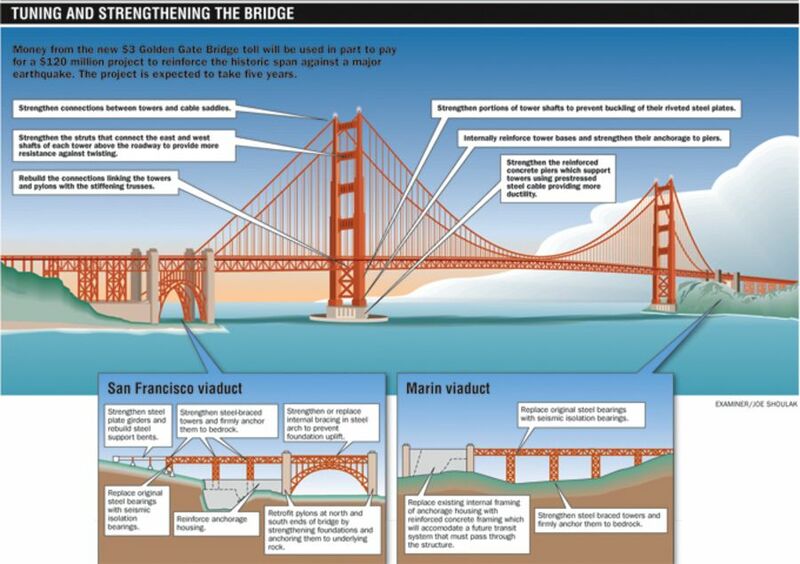 Proposed colors for the bridge included carbon gray, aluminum, or black, and the U.S. Navy wanted black with yellow stripes (for greater visibility). But Irving Morrow, the consulting architect (who was also responsible for the bridge’s Art Deco look), didn’t want any of those colors: The black was unattractive and would reduce the scale of his bridge; aluminum would make the towers look tiny. 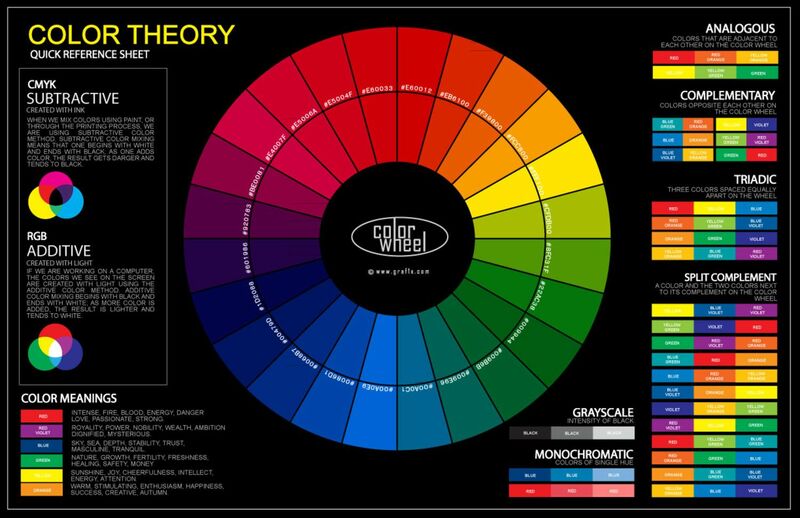 *The CMYK formula for International Orange is Cyan: 0 percent, Magenta: 69 percent, Yellow: 100 percent, Black: 6 percent. 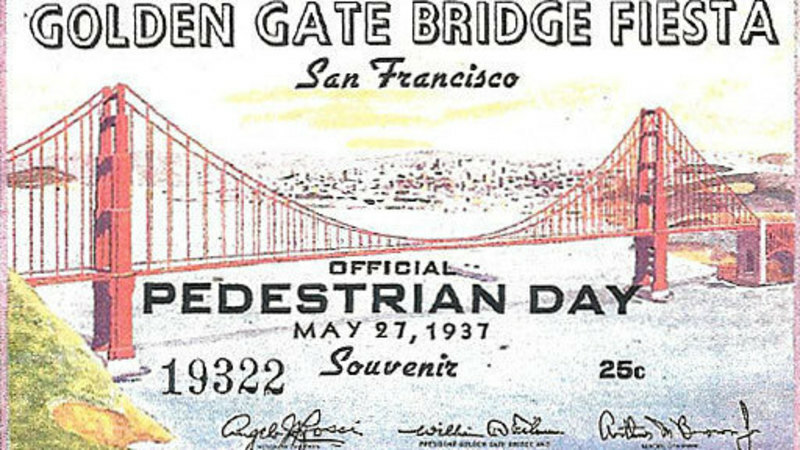 Opening day was “Pedestrian Day,” and 15,000 people an hour went through the turnstiles, each paying 25 cents to cross; some traversed the bridge on stilts and roller skates or on unicycles. Vendors set up along the roadway sold an estimated 50,000 hot dogs. At noon on May 28, FDR pressed a telegraph key in the White House that announced the bridge’s opening to the entire world, and at 3 p.m. a fleet of 42 Navy ships sailed under the bridge; the day was capped off by a fireworks display at 10 p.m. At some point during the celebration, a Fiesta Queen of the Golden Gate Bridge was crowned, although reports differ as to who won. 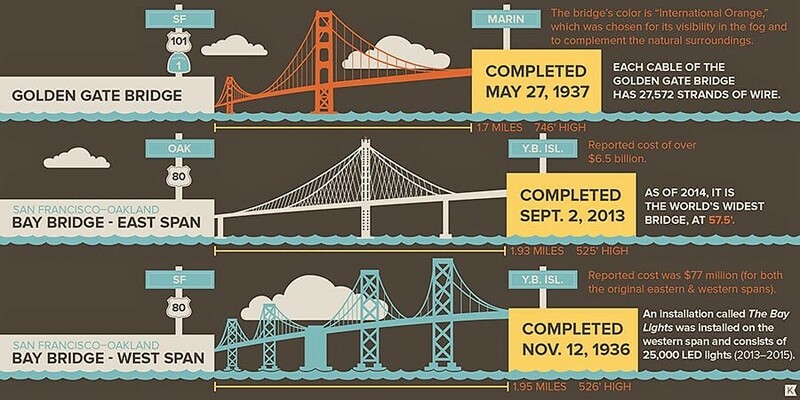 When the bridge opened in 1937, the weight of the bridge along with its anchorages and approaches was 894,500 tons. 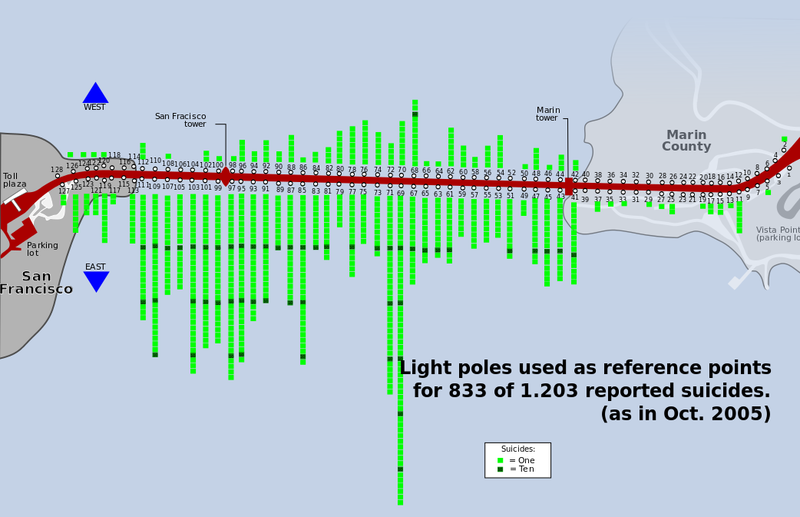 Re-decking in 1986 reduced the total weight to 887,000 tons. 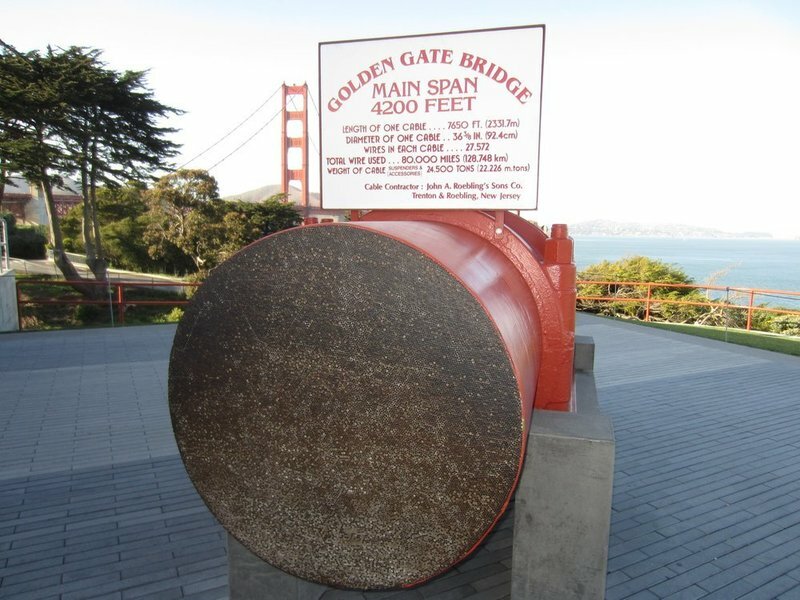 The longest closure in the Golden Gate’s history occurred on December 3, 1983, when winds reached 75 mph; the roadway was shut down for three hours and 27 minutes. But there have been full closures for anniversaries and construction work, and brief closures—on two separate occasions—for visiting dignitaries Franklin Delano Roosevelt and Charles de Gaulle. 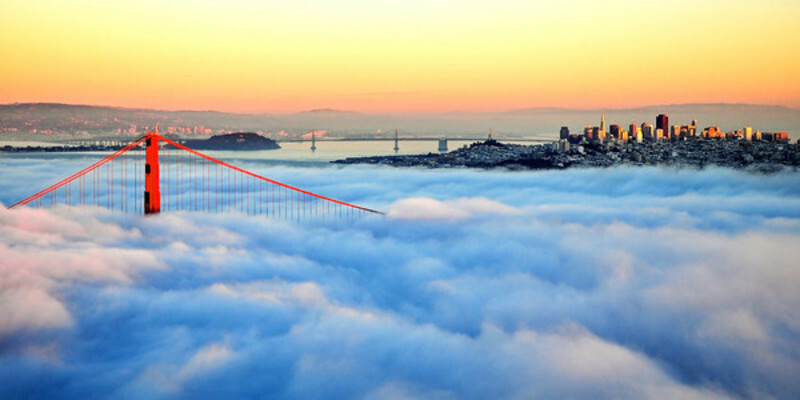 The Bridge has an influence in directing the fog as it pushes up and pours down around the Bridge. Sometimes, high pressure squashes it close to the ground. Bridge Toll started out at 50 cents. 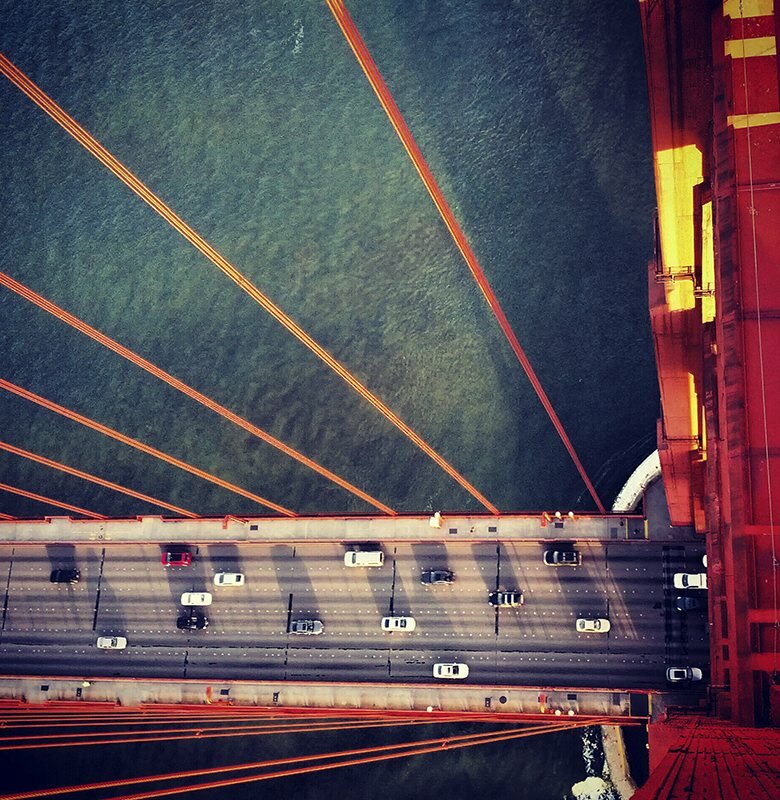 Currently, an average of over 100,000 vehicles use the Golden Gate Bridge every day. Approximately 40 million vehicles used it in 2003, which is not much more than its first year’s volume of 33 million. There have been over 1.8 billion crossings since it opened in 1937. 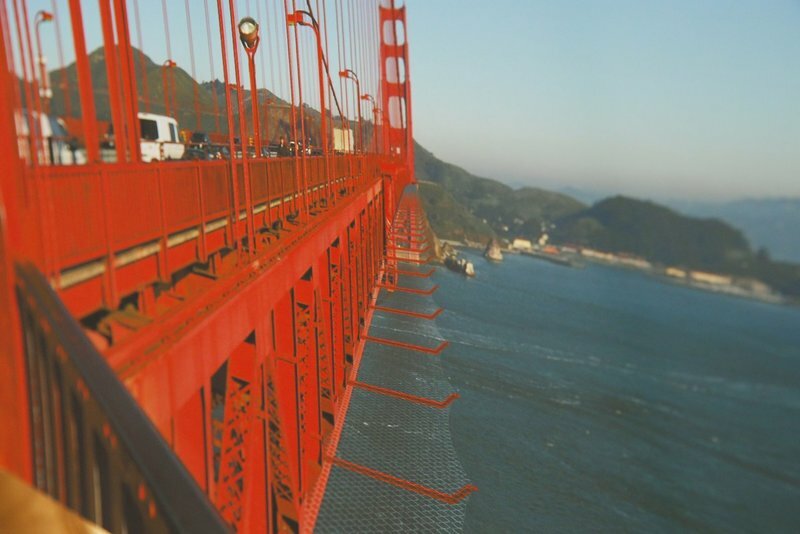 The Golden Gate Bridge responded visibly to the large live load with a reported deflection of its roadway of almost 10 feet at the midspan. ... The situation was compounded by the 17 mph winds blowing across San Francisco Bay. Suspension bridges are vulnerable to wind loads and, while the bridge was swaying from side to side because of the winds and flattening under the heavy live load, near panic conditions resulted. People were suffering from nausea and claustrophobia in the density of the crowd, making it increasingly difficult to alleviate the situation by directing the people away from the bridge. “The whole bridge flattened out—its whole arch disappeared,” Gary Giacomini, president of the Bridge District Board, said at the time. 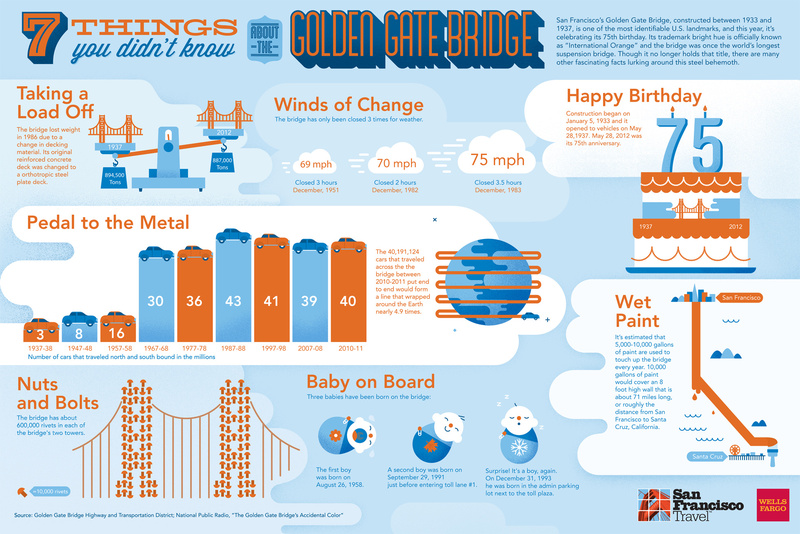 “The bridge had the greatest load factor of its 50-year life. 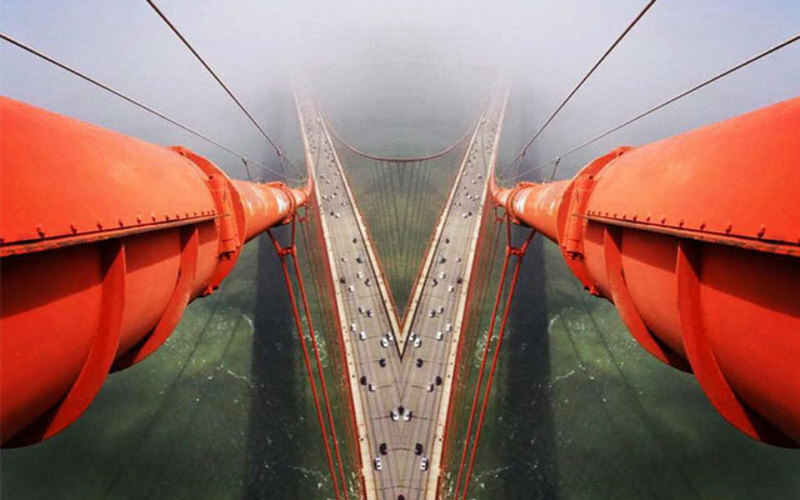 The suspension cables at the center of the bridge were stretched as ‘tight as harp strings,’ while the lower cables near the tower seemed to flap in the wind … I thought, ‘Wow, this isn’t a good idea!'"